The Menno Simons Centre (MSC, a.k.a. 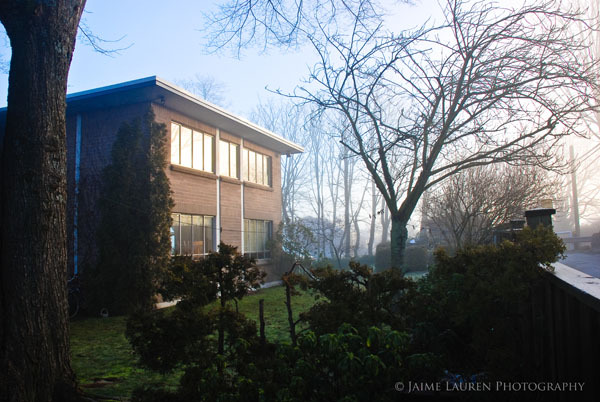 the Centre) is a residence for 24 Christian students attending the University of British Columbia or Regent College. The Centre is seeking to employ one member of a married couple, in a three-quarters time capacity. The couple, both of whom are important to the Centre’s community and student life, would live in the one-bedroom suite in the residence. Preference will be given to applicants who have attended university and are familiar with the Anabaptist tradition (e.g. Mennonite, Baptist, etc.). The coordinator will oversee the room bookings, correspondence, deposits & cheques, building maintenance, Residence Assistants, and weekly community meal. The coordinators are guided by the Menno Simons Centre Committee, which is responsible to the Board of Directors of the Pacific Centre for Discipleship Association (PCDA). This position will be available starting in June 2019 (exact start date flexible). Letters of application and résumés may be sent electronically to the search committee at rc2019job@mennosimonscentre.com, or mailed to The Menno Simons Centre, 4000 West 11th Ave., Vancouver BC, Canada V6R 2L3. For more information about the position, contact the PCDA Vice President, Rebecca Stanley, or arrange for a tour of the Centre with the current Residence Coordinators, Thomas or Cara Bergen (604-224-5202). Applications will be accepted until the position is filled. hosting the weekly community meal. The Residence Coordinators reports to the Menno Simons Centre Committee, which is responsible to the Board of Directors of the Pacific Centre for Discipleship Association. The successful candidate will also work with Board and Committee members on long-term projects related to our upcoming ministry at the UBC Gateway. The Coordinators are expected to participate in the life of the Point Grey Inter-Mennonite Fellowship, the church that meets in the chapel, by periodically reporting on the progress of our student ministry to our faith community. The salary is based on one 3/4ths time position for one member of the couple (about 30 hours per week on average). The rent on the 1-bedroom suite is very affordably priced and certain benefits are provided (ask for details during the selection process). Hourly pay at the straight-time rate for up to 7.5 hours per week (i.e. maximum 1/4th time part-time position) will be approved for reasonable additional duties related to maintenance and administration support for the Gerard House and Lutheran Campus Centre properties at 2026 and 2076 Wesbrook Mall in the University Endowment Lands (recently purchased by the Society). Letters of application and résumés may be e-mailed to rc2019job@mennosimonscentre.com or mailed to the Menno Simons Centre, 4000 West 11th Ave., Vancouver BC, Canada V6R 2L3. Applications will be reviewed until the position is filled. All replies will be held in strict confidence. Please browse the rest of this web site to learn more about our unique community, then phone Thomas or Cara at (604) 224-5202 to arrange a tour of the Centre.